← Get To Know Me ⋆ The Secret Diary of a YouTuber TAG! First, I want to take this moment to appreciate mama-to-be, Blake Lively’s stunning visuals for this campaign. 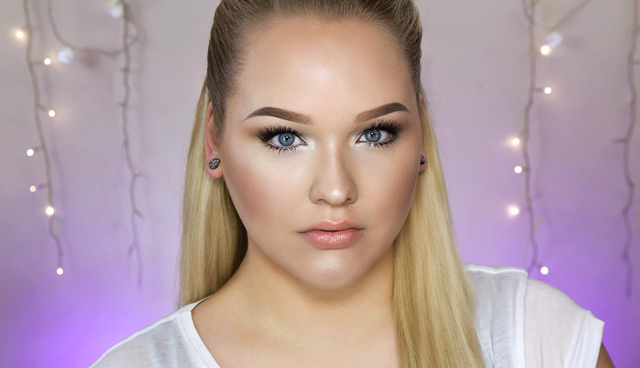 Uhm, hello perfect hair and makeup! 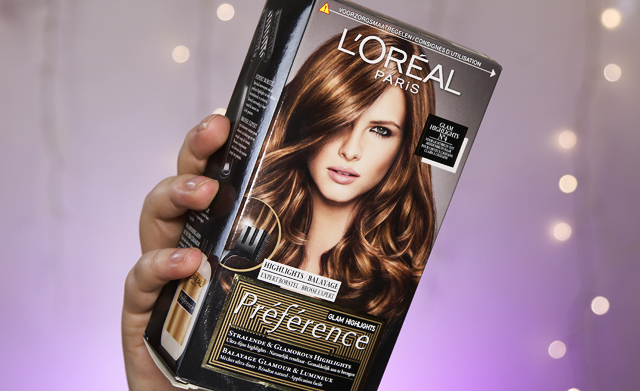 I’m using the L’Oréal Paris Préférence Glam Highlights (€16,99 EUR) in N°2 today. The perfect match for blondes. There’s also a perfect match for brunettes, the N°4. Not gonna lie, I was a little bit worried N°2 wouldn’t be strong enough for my light blonde hair, but it worked beautifully. You’ll see in a bit, don’t worry! Left: Lightening Cream. This helps giving the hair a beautiful, healthy reflection. Middle: This pot is going to be your cauldron. All magic potions go in here. Right: Some good ol’ bleach! This is your applicator. It has been divided into three sections. It’s designed especially for giving the hair that flawless highlighted finish. It has longer bristles on the sides, for irregular, naturally mixed highlights. 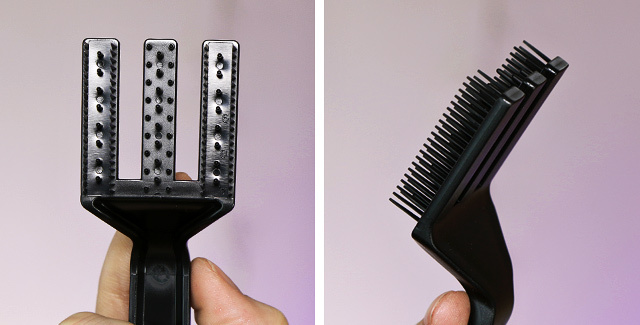 And shorter bristles on the middle to guarantee smooth distribution of product. The brush is very easy to work with, and sits nicely in your hand. I really liked working with it! 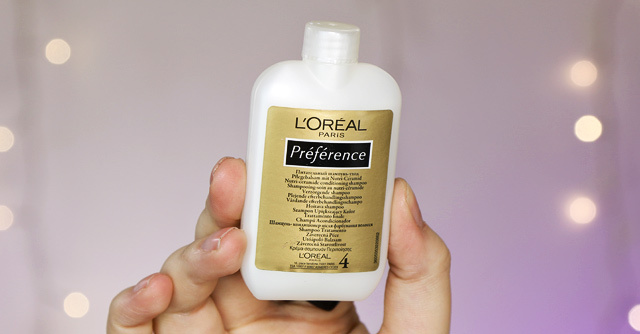 You’ll also find some Préférence shampoo to re-charge the hair after highlighting it. This also locks in the highlights, giving them a radiant finish. Of course, there also is a manual. Hallelujah, haha, where would we be without a manual, right! I recommend reading this entirely before starting your highlighting process, in order to prevent any errors. 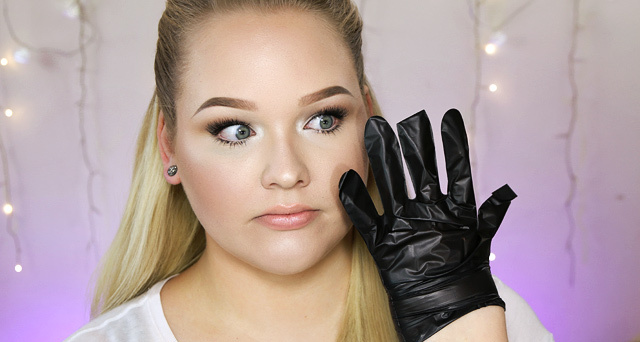 And last but not least, gloves! I strongly suggest using gloves as your skin may be sensitive to the bleach. Unfortunately the gloves L’Oréal provided were way too small for my Godzilla hands, so I opted for the gloves I have in my professional kit. ⋆ Always hold the applicator vertical. 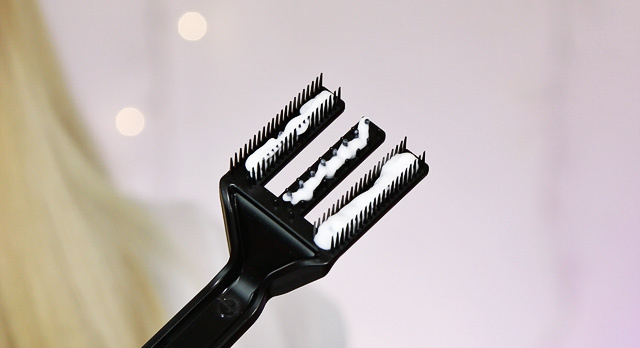 ⋆ Make sure the applicator has an even amount of product on all three sides before brushing through the hair. ⋆ For every new lock of hair you want to highlight, re-apply the product to the applicator. ⋆ For a natural effect, start about 1 to 3 cm away from your roots and brush the applicator through softly at the top of your head. The closer to the ends, the more pressure you use. This makes for perfect highlighting application. 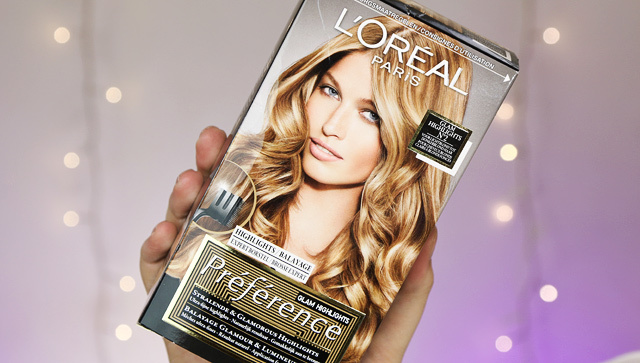 I think the new L’Oréal Paris Préférence Glam Highlights are absolutely fantastic. 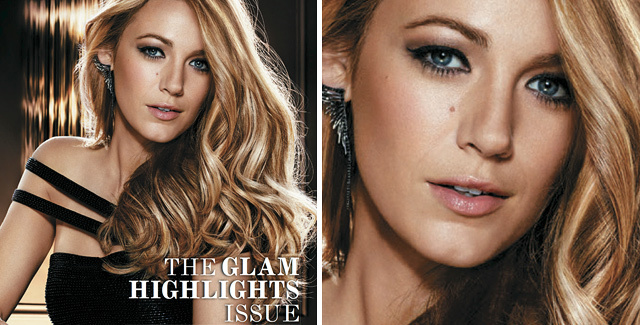 Blake Lively screams perfection in the visuals, which already makes you want to play with this kit. I found mixing the products was super easy and quick to do. Application wise, the brush really helped distributing the product evenly. It really made the whole process that bit more fun and easy. 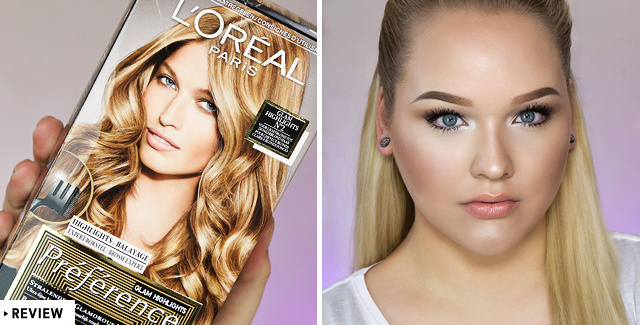 I wish for the future L’Oreal will come out with more colors, especially geared for us super-light-blondes. Have you ever had highlights in your hair? Would you try the new Glam Highlights? Tell me down in the comments! Can you please do a tutorial on the makeup? Jou foto’s zijn altijd zo mooi, dit onderscheid jou blog echt van anderen! prachtig! Ziet er goed uit! Ik zou ook wel eens highlights willen proberen maar vind het best wel eng om mijn haar te verven. 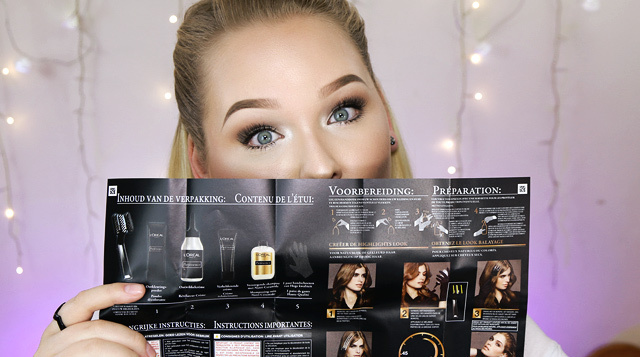 Ik heb vrij assig donkerblond tot lichtbruin haar, welke kleur zou ik moeten kiezen denk je? Gorgeous!!! Wat zie je er prachtig uit! I’ve always avoided coloring hair at home after a disaster in my teenage years. However, after reading your tutorial I think I will give it another go. Goodbye mousy brown, hello blonde :-). will you please do a tutorial on the makeup look your wearing here!